IN HIS typical laidback style, talented apprentice jockey Nick Heywood is not getting carried away with his recent city success. Heywood kicked off the new year in style with another city winner at Randwick on Monday after guiding bush galloper Ice Bucket to an all-the-way victory. 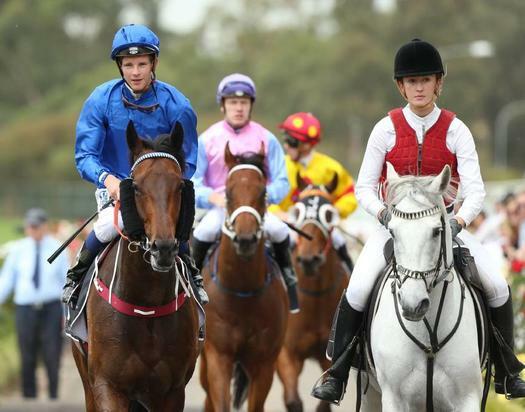 It was Heywood’s fourth winner from his last 20 city rides and his recent success has taken him to third position in the metropolitan apprentice jockey’s premiership. Heywood, who turns 21 later this month, is determined not to get ahead of himself. “I’m taking it as it comes,” Heywood said. “I don’t go out there too cocky. The less you expect, the more delighted you are when you win. Heywood moved from Wagga to Sydney in May last year to join the Peter and Paul Snowden stable. The Snowden team gradually eased him into the city ranks through the provincial circuit to the point that Heywood is now riding for the country’s biggest stables. World racing giant Godolphin have not hesitated in booking Heywood and he has enjoyed success for John O’Shea and his team with a couple of Saturday city winners on Moher. Heywood is happy with his city wins but certainly has no plans to relax. “I’m kicking along, putting in the hard yards to try to get opportunities,” he said. Heywood said riding against the best is not just a negative. “To be the best, you have got to up here riding against the best,” he said. Heywood says he has no major goals for the new year. However, he has his sights on outriding his provincial claim, of which he only needs about 30 more winners. Eight more city winners and then Heywood’s claim will drop to two kilograms, too. The metropolitan apprentice premiership has him only two wins behind leader, James Innes Jnr, but the race does not interest Heywood. “Not at all. It’s too early. I’ll take it as it comes and try to get as many winners as I can. If I don’t, then I’ll work hard to get winners,” he said. The son of Wagga trainer Chris Heywood, Nick said he will continue to return to the Southern District to ride whenever his schedule allows.